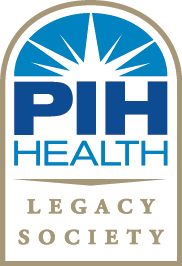 The PIH Health Legacy Society was created to recognize and express our appreciation to those who plan to make future gifts through their estates to benefit PIH Health. The members of the PIH Health Legacy Society are like-minded donors who have made provisions in their estate plans to support the mission of PIH Health beyond their lifetimes. It is a visionary group of people who share a passion for the future of health care in their community. Becoming a PIH Health Legacy Society member is simple. The only qualification is to advise PIH Health Foundation of your intention to support PIH Health through an estate gift. To join today, please complete our membership form and return it to PIH Health Foundation. We look forward to welcoming you as our newest member! For more information, please contact Nicole Jackson at 562.698.0811 Ext. 81598 or Nicole.Jackson@PIHHealth.org.